The importance of building brands and customer experience has never been more vital for the bottom line and shareholder value. This is just one of the findings from the WPP BrandZ Top 100 Most Valuable Global Brands 2018 report. It also confirmed the positive effect of building brands over the long term, the importance of delivering consistent customer experience for growth, and customer experience as an even more important driver of differentiation. 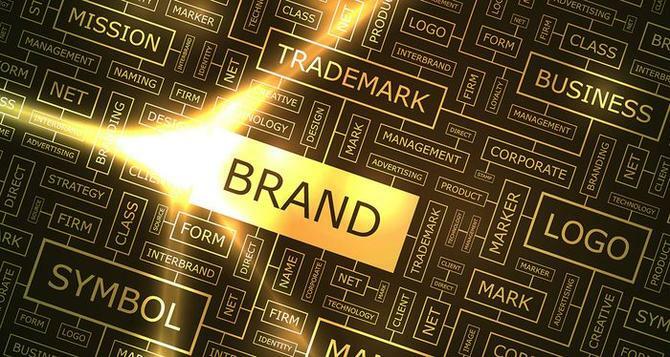 The report, released by Kantar Millward Brown, found the top 100 global brands set a record this year, increasing in value 21 per cent to US$4.4 trillion, the highest year-on-year percentage increase in a decade and the greatest addition of value ever of US$748 billion. Importantly, the report found brands grow value by anticipating and fulfilling the needs and wants of consumers in relevant ways that are innovative, create an emotional connection, and distinguish the brand from its competition. Companies investing in building valuable brands grow their top-line faster, and organic top-line growth is the greatest determinant of total shareholder return. “Growth - even survival - depends on being innovative and different, and communicating those advantages in innovative and different ways. Brands that depend on the economic tide alone may be caught in the turbulence,” WWP CEO, David Roth, said. Other findings include brands need to be present online, especially on mobile, and offline in traditional stores and any other pop-up or experiential venue, because the consumer could be in any of these places, or in more than one of these places, simultaneously. The growth of brands was not all down to an improved economy. The report found brand and brand-building makes the difference, and as the marketplace becomes ever more complex, brands will only become more important. Across the group, retail led category value growth for the second consecutive year, with a rise of 35 per cent. Two Chinese e-commerce giants drove the retail surge: JD.com increased 94 per cent in value, and Alibaba by 92 per cent. These two Chinese brands also led the Top 20 Risers, the list of brands that increased most in value year-to-year, followed by another Chinese brand, Moutai. The technology category, meanwhile, led in actual value contribution. Technology added $348 billion in value to the BrandZ Global Top 100, while the retail Top 20 increase by $149 billion. The report also found fechnology brands comprise over one third of value. With the addition of e-commerce giants and telecom providers, technology-related brands account for 56 per cent of the Global Top 100 value. Each of the global Top 5— Google, Apple, Amazon, Microsoft, and Tencent—are technology or technology-related brands and all but one, China’s Tencent, are from the US, while the brand in sixth position is Facebook. Rounding out the top 20 (in order) are: Visa, McDonalds, Alibaba, AT&T, IBM, Verizon, Marlboro, Coca-Cola, Mastercard, UPS, SAP, Wells Fargo, Disney, and Home Depot. The top 10 fast risers were: JD.com, Alibaba, Moutai, PayPal, Netflix, Gucci, Tencent, Tesla, Dior, and Adobe. Every category increased in value, with some rebounding sharply, including insurance, which rose 34 per cent after declining one per cent a year ago, and global banks, which rose 24 per cent after a 1 per cent decline in the previous year. Brands that increase rapidly in value are meaningfully different, disruptive, and create a great brand experience. Invest in long-term brand growth. Brands that deliver consistent, meaningfully different products and experiences, and effectively communicate about them, grow faster in value, provide greater return to shareholders, and are better able to navigate the inevitable marketplace disruptions. Look East for inspiration. Chinese consumers expect to shop, pay bills, order taxis, view entertainment, and engage in myriad other activities, seamlessly and with minimal friction, using their smartphones. Broaden communication. Brand building spans every consumer touch point from initial awareness to engagement, transaction, and ongoing conversation. Communication needs to match the needs of a more complex relationship. Develop the brand ecosystem. A brand ecosystem is the industrial conglomerate updated for the digital age. It is a network in which a brand connects with multiple aspects of peoples’ lives. Build Meaningful Difference. In a world where consumers will have many purchase decisions made for them by algorithms, it is important to give consumers reasons to proactively consider and choose a brand. The brand valuations in the BrandZ Top 100 Most Valuable Global Brands 2018 are produced by Kantar Millward Brown using market data from Kantar Consulting, along with Bloomberg. The consumer viewpoint is derived from the BrandZ database, containing over 3.6 million consumer interviews about more than 120,000 different brands in over 50 markets.